If you have a buyer yearning to live by the water, you have to tell them about this place represented by The Farnum Group. Located at 51 Watch Tower Lane South in gorgeous Panama City Beach, Florida, this home was just completely renovated by Stackable Design Group. They cleverly took advantage of all the space this corner lot offers allowing you to soak up the beach air in the home’s wide open, airy rooms. The stylish, casual, sophisticated interiors were done by Magnolia House of Atlanta. There’s plenty of rooms to hosts guests—six spacious bedrooms, spa baths, carriage house, private pool, chefs kitchen, media room, screened porches, and tower with Gulf views. 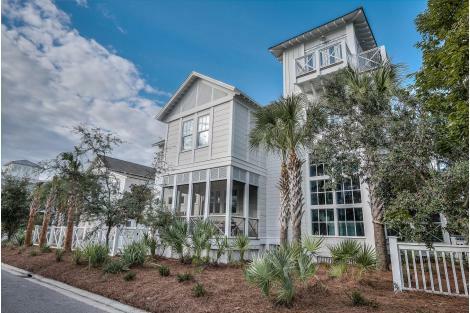 It has all the amenities you’ll need including access to the private beaches of Watersound just a block away. For the best of Panama City beachside living, come to 51 Watch Tower Lane. For more about the Farnam Group and 51 Watch Tower Lane, please visit 51watchtower.com.